Currently hosted at the Kia Oval, The Green Room cricket hospitality offers a world-class experience to what is a prestigious and well-respected sport. The Green Room is recognised as the epitome of quality and provides an immersive experience, that cannot be found anywhere else. 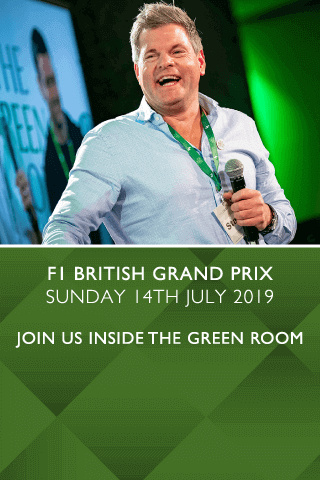 The Green Room does not just guarantee you an eclectic mix of food and drink, but also offers you the opportunity to surround yourself with some of the most famous and influential names in sport. Browse our range of packages and submit an enquiry today. From its prime location inside of The Oval's highly sought-after OCS Stand, The Green Room boasts panoramic views of the field of play from its finest vantage point; directly behind the bowlers' arm. With views like this, you won’t miss a wicket. The Green Room at The Oval provides the finest hospitality entertainment on offer, with the venue’s best views of the action-packed sport, but also the good-humour and knowledgeable insights of our hosts. Privileged guests will see Mark Durden-Smith compering a trio of cricket’s most recognisable and, in some cases, notorious faces. The Oval was opened in 1845 and has since witnessed countless victories, including England’s Ashes win in 2005. As one of the oldest and most famous cricket grounds in the country, the Kia Oval is home to The Green Room’s cricket hospitality package selection. Whilst the stands are crowded to capacity with a whopping 24,500 visitors, our Green Room cricket hospitality guests can relax in the best seating in the house, waited on by our hospitable team. The Green Room cricket hospitality packages provide guests with an opportunity to meet and greet some of cricket’s biggest stars - with an excellent view of the match! This package offers unique benefits, and, if you have something in mind to make your day even more special, let us know and our team will give our best efforts to meet your needs. We are confident that your experience of our cricket hospitality packages will be like no other! We work hard to ensure that we are providing high standards of service and that your time with us at the Kia Oval is unforgettable. Hospitality Finder is an expert and highly esteemed provider of VIP hospitality packages. The Green Room packages provide the highest quality of sporting hospitality features, making them the ultimate experience for any dedicated cricket fan. We specialise in entertaining a whole host of guests, including bosses and employees, business partners, existing clients and more. Those wishing to indulge their family and friends are also very welcome with us. We’ll help you spoil your loved ones with a gift they’ll never forget. Enjoy the best views of the match and The Oval’s exciting atmosphere whilst indulging in the finest food and drink and VIP treatment that we can offer. Our dedicated hosts and events managers are on hand to help you organise your day. This allows you to sit back and socialise with your guests, whilst we do the hard work. It would be our pleasure to welcome you with cricket hospitality at The Green Room. As proof of our unbelievable service, we have a 5-star rating on Trust Pilot We do our best to ensure that this is reflected in every hospitality package that we provide. Check out our reviews to discover more. looking for Royal Ascot hospitality or a VIP experience at Cheltenham, a Wimbledon VIP event or even concert festival hospitality, we’re bound to have the right event for your requirements.